Quilt Barn Trail of Oregon's Tualatin Valley: More Blocks Have Found Homes! More Blocks Have Found Homes! 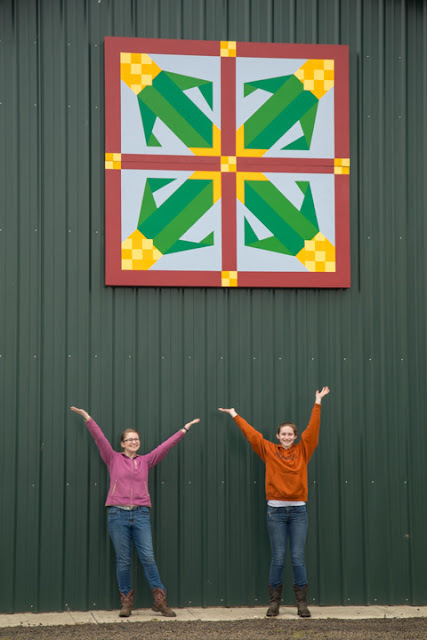 The Lewis daughters pose with their new block, "Field Corn", on the Flatland Farm. 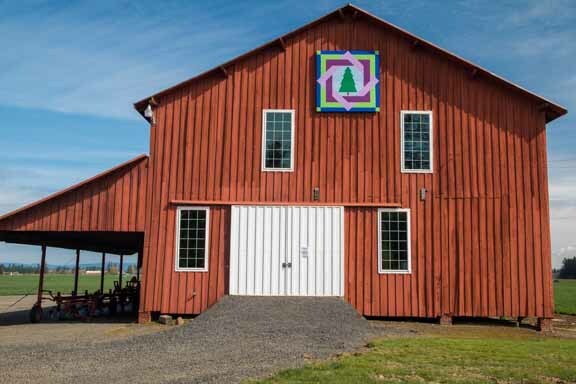 #48 on the trail, it's mounted on a new barn, with a newly established farm. The Lewis' grow field corn and this block reflects that. You can see it traveling south on Hwy 47; its address is 45085 SW Patton Road, Gaston. Flatland Farm barn with Field Corn block. 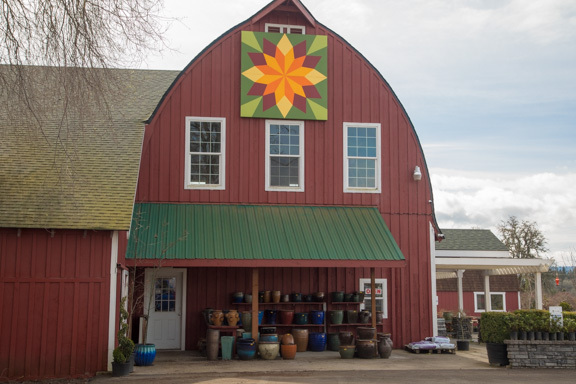 Twin Oaks Nursery has a new Sunflower Block, and is at home with the other flowers and plants at the nursery. It is located at 10990 SW River Road, Hillsboro and is #47 on the trail. The barn dates from just after WWII, and is a "Government" Barn. 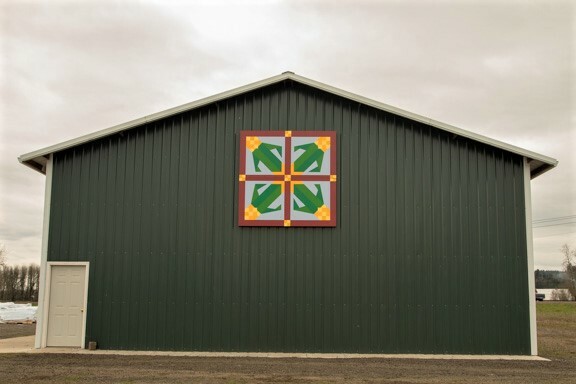 Veterans who had served at that time could get the barn design and some funds to build a barn from the government. There are a few more in the county, can you spot one when you see it? The Graf Barn owned by Jim & Terri Graf is nearly 100 years old and was originally a dairy barn. After that, the farm grew flower bulbs. 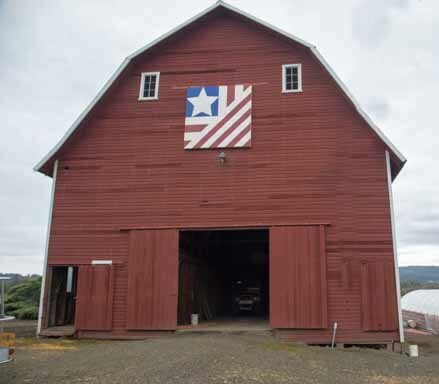 Jim and Terri wanted a Flag Block which looks very handsome on this old barn and is # 46 on the trail. 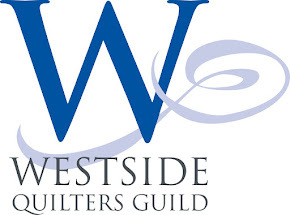 See it at 5700 SW Old Hwy 47, Gaston. #39 has moved to the front of the barn! It's on the Krause farm, at 34560 SW Johnson School Road, Cornelius.